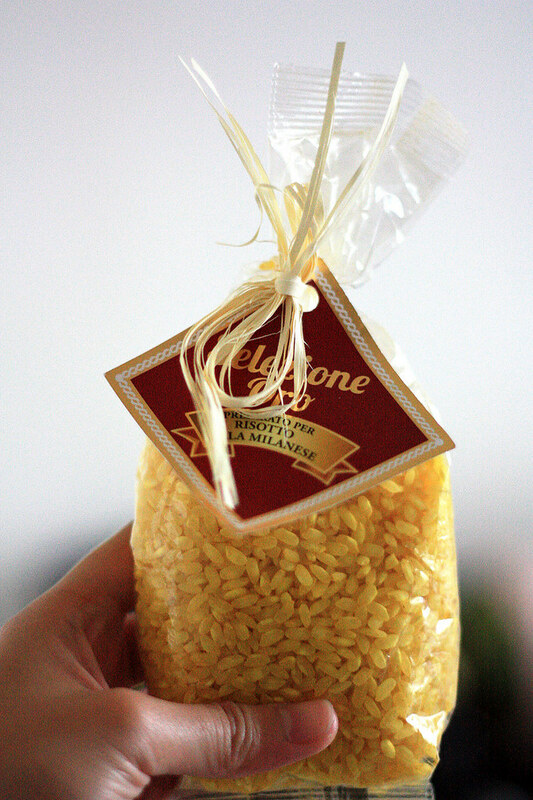 A few weeks ago, I bought packaged risotto from Mercato Centrale in Florence. I also remember buying the same two years ago from Cuisine de Maison at the Rockwell Christmas Bazaar. I now realize that the entrepreneurs must have gotten the idea from their trips to Italy. So here is the risotto pack, which cost 10 euros for 3. There are badly translated English instructions and I tried my best to execute what was exactly asked. 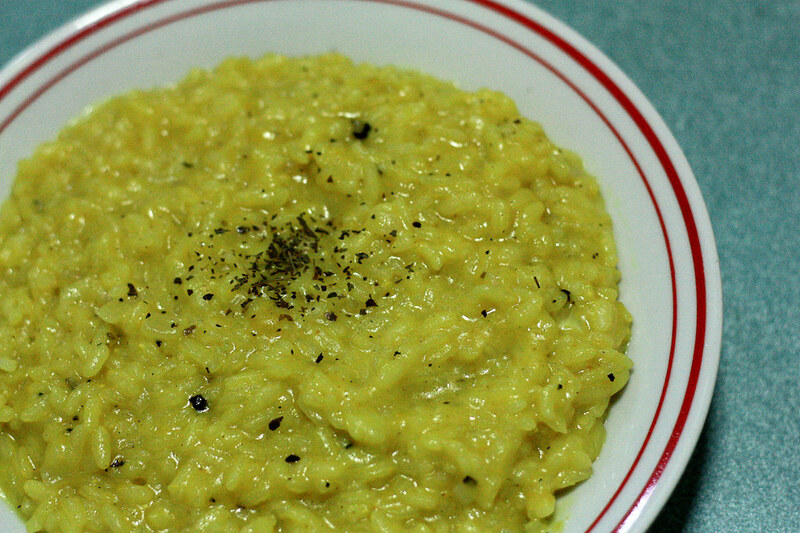 The grains of risotto Milanese are yellow because of saffron. It usually accompanies another Milanese dish, the osso bucco. Recipe needs a medium sized white onion, salt and pepper, olive oil, vegetable stock (but I used chicken broth), water, and parmesan cheese. A few years ago I made the mistake of making risotto by using Kraft parmesan cheese from the canister. It made the dish tasteless. So I now learned my lesson and bought real fresh parmigiano. It turned out looking like this. I’m not sure if it is really the quality of arborio rice, but think the grains are overcooked as they have expanded to such a larger size. I also think I put too much liquid (water and broth). Anyhow, it was still al dente.